I studied Childcare and education at college for 2 years whilst working at our Local Mothercare store in Hull. I started working in nursery in 2011 and enjoyed working with children. I quickly became a room leader and special educational needs coordinator for our setting. What or who inspired you to change career? In 2014 I became pregnant with our first baby. 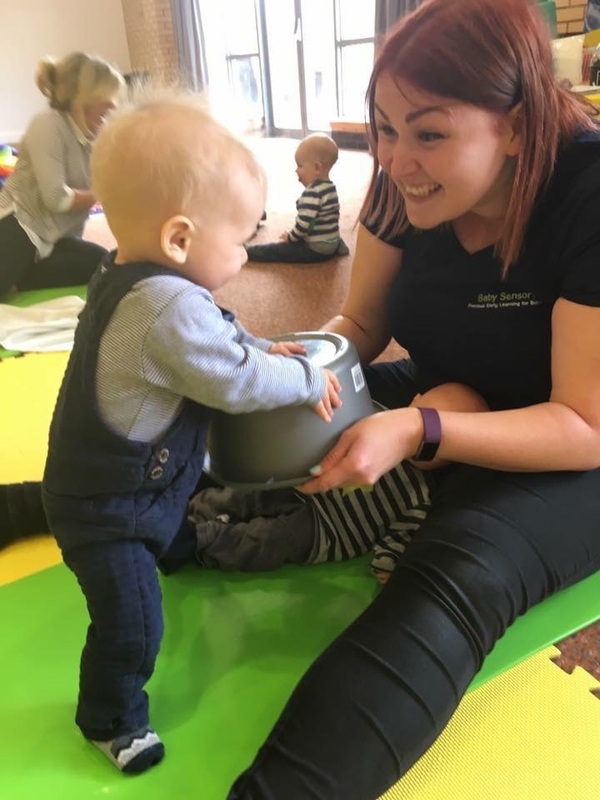 She was born April 2015 and at 8 weeks old we attended our first Baby Sensory session in Brough, East Riding of Yorkshire. I fell in love with the classes and it was the highlight of my week! Amy (owner and class leader at Baby Sensory Hull and East Riding) became my daughter’s favourite person. I only had to mention her name and her face would light up. Amy directed me to the website after a long chat one session (whilst she was setting up and I was feeding my daughter). I read about Dr Lin and started to realise the effort, knowledge and research that went into every aspect of the classes. It made me love Baby Sensory even more and I knew then I wanted to be a part of it. In 2016 after a year of Baby Sensory we moved onto Toddler Sense Beverley, which we adored just as much and made so many friends! When the job opportunity came up in December 2016 I quickly messaged to say I was very interested. And shortly after I was offered a job. I was so excited....and nervous but couldn’t wait to start! There are so many rewards to the job. The best part for me is when I see parents and their babies bonding, interacting and making those precious memories. It is truly magical and I often get quite emotional as I feel so privileged to be a part of that time our parents and babies have together. If this has inspired you and you'd like to find out more, click here.